To put it simply, public transport in Japan is brilliant. Fast, efficient and inexpensive, the system has a well-earned reputation for being safe, clean and chronically punctual. That said, first-time travellers planning trips in Japan may find navigating the network a little confusing. Well, fear not! This Japan public transport travel guide includes all the information you need to buy a ticket, jump on board and enjoy the ride. Japan’s extensive public transport system includes both trains and buses, but it’s the train network that is the lifeblood of Japan. The Japan Railways Group (JR) is the standard train line servicing most of the country, but there are also regional private lines and metro subway lines that you’ll no doubt become familiar with during your holidays in Japan. There are two main ticket categories for Japan trains: long distance passes and local network tickets. If you plan to travel all over Japan on your holiday, then the JR Pass is well worth considering. These handy passes allow unlimited access to the Japan Rail network for a period of either seven, 14 or 21 days, and cost ¥29,110, ¥46,390 and ¥59,350 respectively for a standard adult pass. While a very cost-effective purchase for long distance travel, they might not give you the best bang for your buck if you intend to spend most of your holiday within a particular city. In that instance, you’re better off purchasing local network tickets. One word of advice though: should you decide on a JR Pass, be sure to buy it in advance online, as you will save up to 20%. 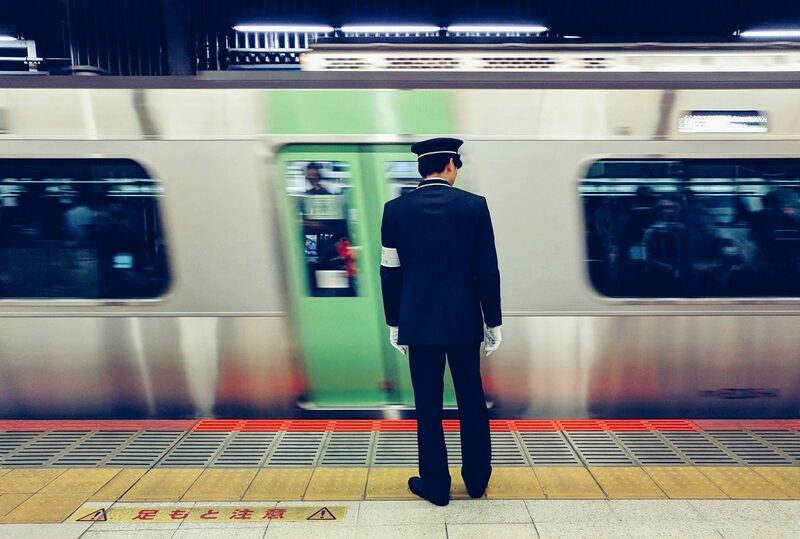 When it comes to Japan’s local subway systems, there are generally three ticketing options. First, you have a single ride ticket, which is handy if you won’t be travelling by train a lot. Your second option is an unlimited-travel day ticket, which is a wiser choice if you plan to use numerous trains throughout the day, though these tickets are not available in all cities. If you’re going to spend more than one day in a particular city, your third option is to purchase an IC card. What is an IC card, you ask? Standing for ‘integrated circuit’, these reloadable cards eliminate the hassle of having to buy a new ticket every time you get to a station. Most cities have their own IC card – Suica in East Japan, Pasmo in Tokyo, Kitaca in Hokkaido and Toica in Central Japan – but as of 2013, they all work interchangeably across the country. An IC card will set you back ¥2,000, but this includes a ¥1,500 travel balance and a ¥500 deposit that is refunded once the card is returned – assuming you don’t want keep it as a souvenir. Do note however that if you wish to have the balance on your IC card refunded, there is a ¥220 processing fee. Ticket machines for Japan trains are located next to or near the ticket gates, and most have an English language setting available. Before even thinking about buying a ticket though, you first need to figure out where you’re going. This is very important because, unlike many rail systems around the world that charge a flat rate for tickets regardless of whether you’re travelling one stop or 21, Japan’s ticket prices are based on your destination. Ingenious, yes, but it also adds an element of confusion. To determine how much your ticket will cost, consult the railway maps located above the ticketing kiosks. These maps show which station is on what line and how much it will cost to get there from your location. If you’re purchasing a single ticket, simply feed the machine with the amount of money that matches the cost written next to your destination. If you’re using an IC card, you can easily recharge it at any ticketing machine that sells IC cards. Once your card is loaded or your ticket purchased, head to the gates. If using the IC card, simply tap it on the blue rectangle. If using a ticket, insert it into the small slot on the side of the turnstile. Remember to pick it up at the other side though as you’ll need it to get through the turnstile at the other end. When you do exit the station, all single ride tickets will remain within the turnstile – no souvenir there. One last thing on the topic of tickets: if you have entered through a ticket gate without enough money loaded on your card to get out, or you have bought a ticket for less than the cost of your entire trip, you will not be able to get out through the turnstile at the other end. But don’t stress! There are fare adjustment machines near the ticket gates on the platform side where you can top up your balance. And there you are! You’ve successfully navigated public transport in Japan! The Japanese rail system is incredibly user-friendly, and as long as you avoid eating or talking on your phone while riding the train (both of these will earn you some severe looks of disdain), you’ll be travelling like a local in no time. Feeling up to putting your new-found skills to the test? Search, compare and book flights to Japan on Webjet today.